This summer, Deborah Lippmann has released a collection of bright cremes called 80s Rewind. They are all named after 80s songs and come in fun colors well-suited to summer. Of course I had to take the opportunity to do some totally rad nail art with the shades, and created this lightning bolt negative space manicure! As for the quality of the polish, they are all nicely pigmented with good formulas. I used two coats of each color, then finished the manicure off with a coat of Seche Vite and a coat of OPI Matte Topcoat. This manicure is also the first time that I've used Nail Vinyls, and I have to say the experience was pretty great. For those of you that are unfamiliar, they are vinyl stickers precut into standard tape manicure shapes, which makes your tape manicure easier to do and more consistent. These lightning bolts are one of the shapes that came in the combo pack that I purchased. 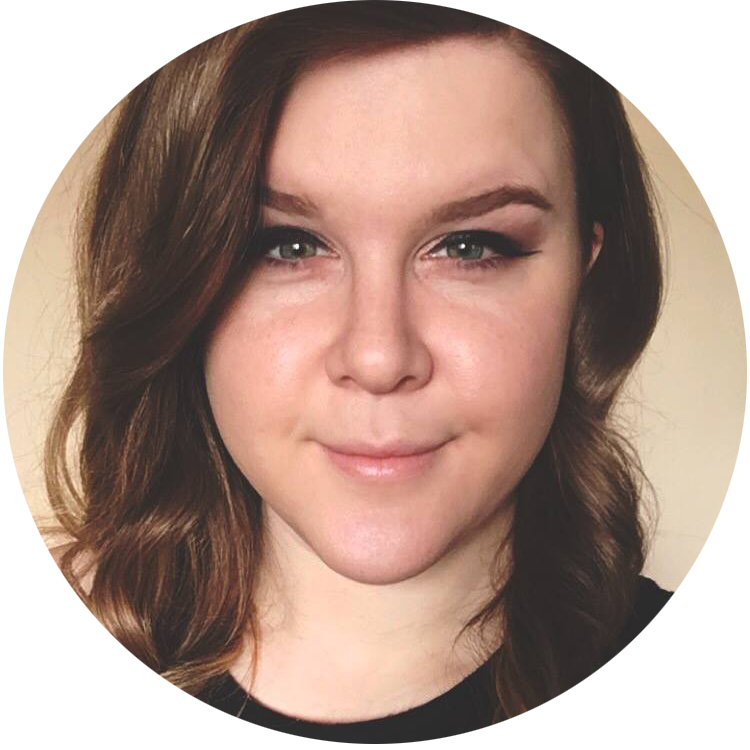 This is a really simple look that has a lot of wow factor! The nail vinyls made the color blocking a breeze, and the polishes all worked great together. Deborah Lippmann 80s Rewind shades can be found at Sephora.com, Nordstrom.com, and DeborahLippmann.com, as well as other high end stores. OPI Matte Topcoat is available on Ulta.com. Nail Vinyls are available in the Nail Vinyls shop. 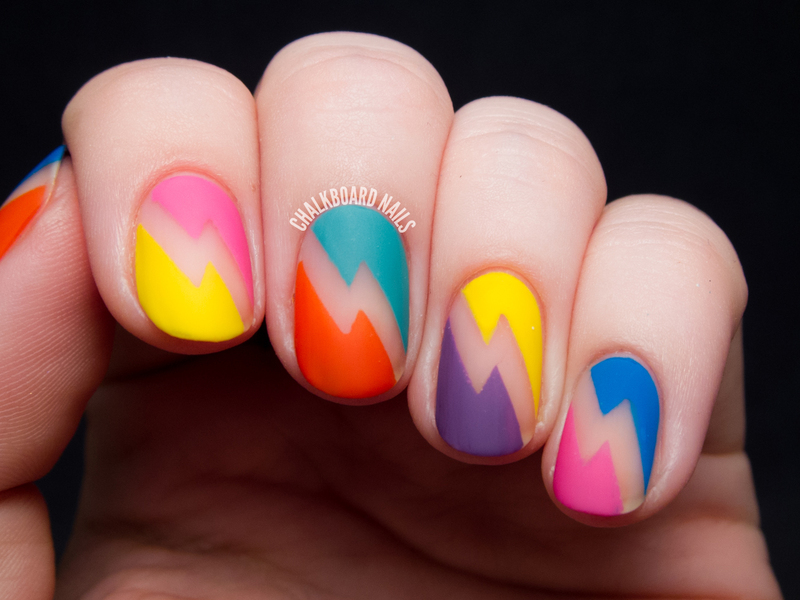 What a fun mani!! I love the color combo! I need these vinyls. This is so gorgeous. Great job! I never thought of using a nail vinyl that way! As a child of the 80's, you "nailed" it! 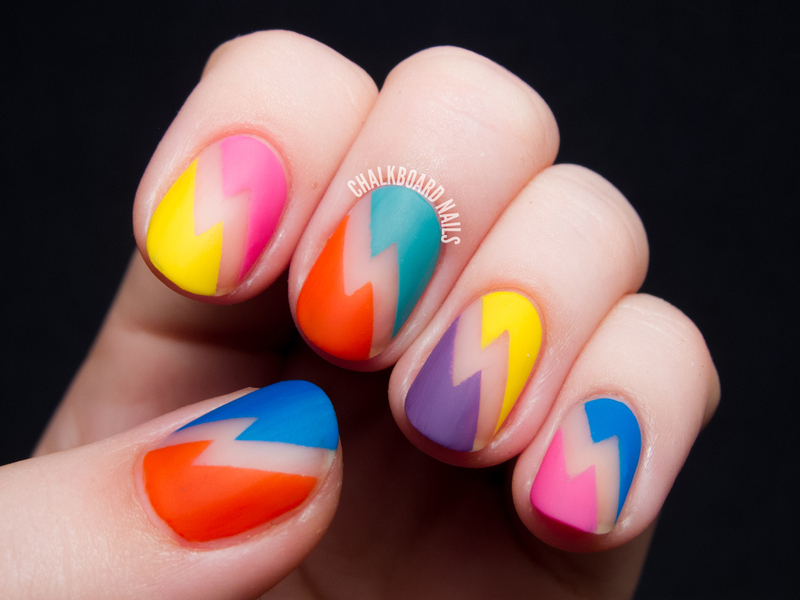 this is so bold and colorful, i love it! That is just so cool!!! 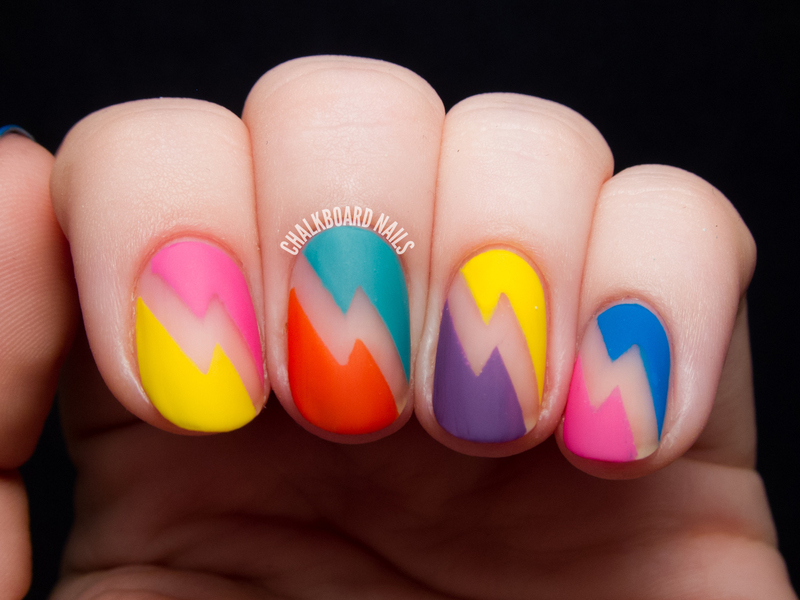 Retro nail art with retro polish, I absolutely love it! This looks so cool! Love it! Amazing! 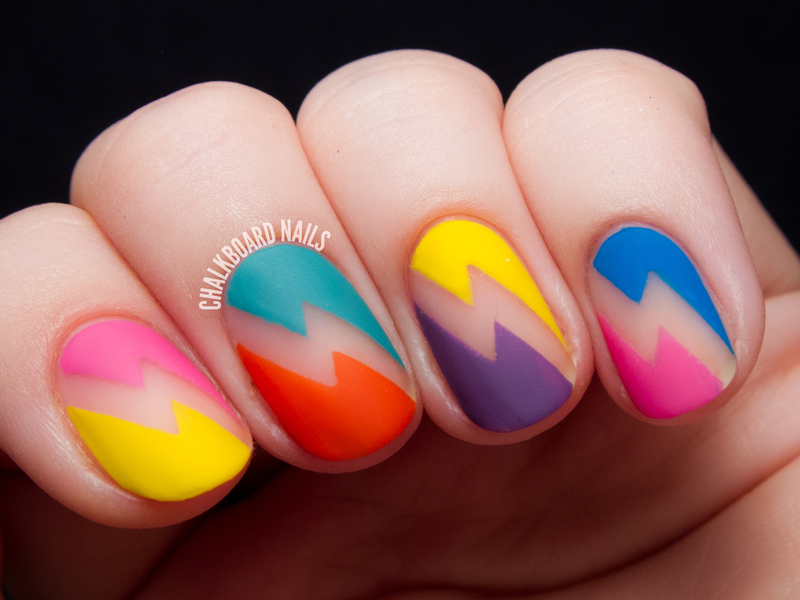 The negative space idea is really cool, and these bright colours topped with a matte top coat.. Just gorgeous! I love this collection so much... I get songs stuck in my head every time I read about them :P they all work together so well which is uncommon for collections like this! Love the simplicity yet uniqueness of this :) and good call matte-ifying it, really adds to the effect. So great. I always love the way matte nails look. They don't shine like other styles, but they definitely keep you looking. So beautiful manicure ideas for beauty salons . I wonder how you design that nail art? I really like the bright colors. A brand Color Club also has lots of bright colors that you can check it out at whalespainc.com.